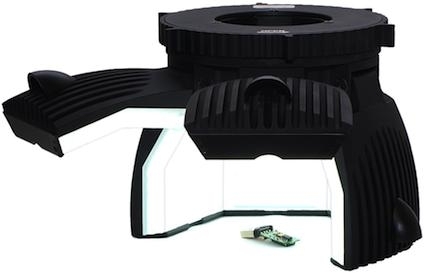 The re-designed Prelude II light source, is an adjustable LED white light source for stereomicroscopes. The Prelude II is designed to provide extraordinary reflected light illumination for very difficult to illuminate samples. It generates soft, glare free lighting where all other illumination techniques have failed. Completely adjustable “curtains of light” perfectly illuminate highly reflective samples such as insects, semiconductor parts, jewelry, metals, rocks and plastics. This is the perfect microscope illumination for entomology, metallography, jewelry inspection, geology, semiconductor or polymer inspection. 89 North developed the PhotoFluor LM-75, the world’s first, direct-mount Metal-Halide light source for fluorescence microscopy. With no liquid light guide and a built-in DC-ballast, the 89 North PhotoFlour LM-75 delivers the highest possible intensity at the sample and extremely stable output. 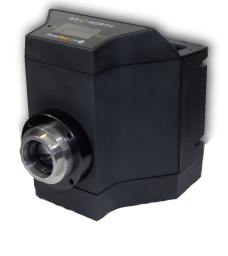 Together with pre-aligned, user-exchangeable lamp and ultra-quite operation, the 89 North PhotoFlour LM-75 is the perfect light source for a wide range of fluorescence imaging applications.